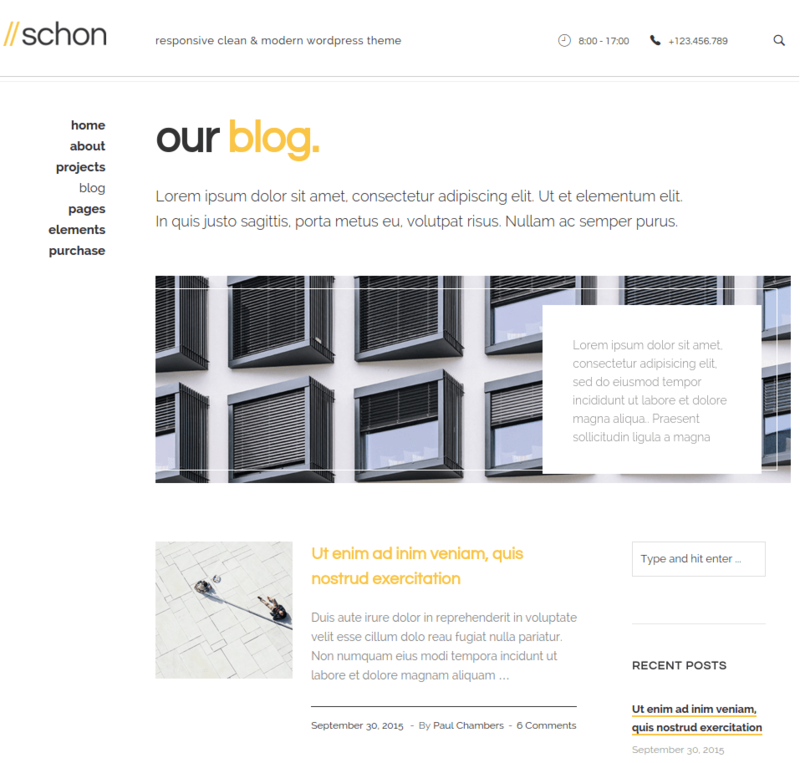 Schon is a WordPress Theme that is designed to build a corporate or the business website. It is an extremely light weight theme with a simple design and code that can be easily customized as per the requirements. It is an extremely responsive theme and a modern layout theme that makes your site appealing and attracts lot of visitors to the site. 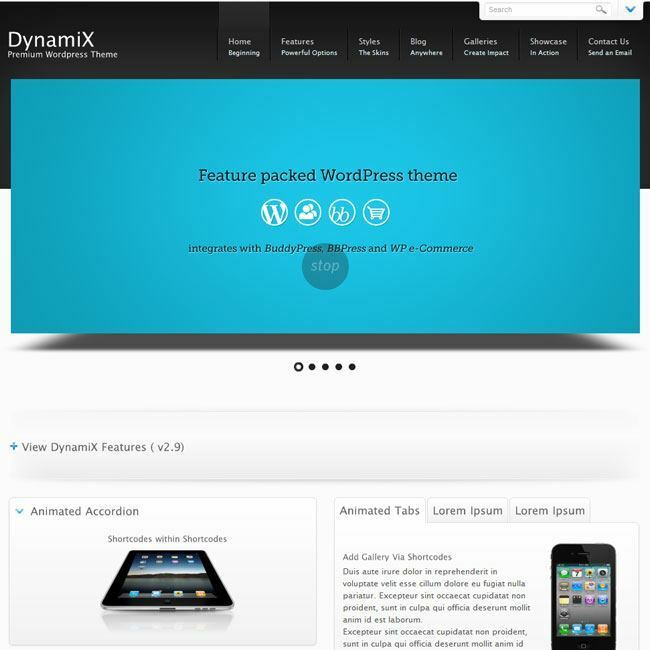 It provides with different pre-built pages and layout to give your site a different look and feel. It is compatible with a Page Builder plugin known as Visual Composer that comes packed with 40+ elements such as the Text Block, Row, Separator, Text Separator, Message Box, Facebook Like, Google+, Pinterest, Tweetmeme, FAQ, Single Image, Image Gallery, Tabs, Accordion, Icon Element, Posts Slider, widgetized Sidebar, Button, Call to Action, etc. It is a multi- language theme that is compatible with WPML and is translation ready. Allows to create different forms for the site and place it anywhere on the panel and it is also compatible with Gravity Forms and Contact Form 7 plugins. To keep a track on the location, this theme comes with the integration of Google maps. 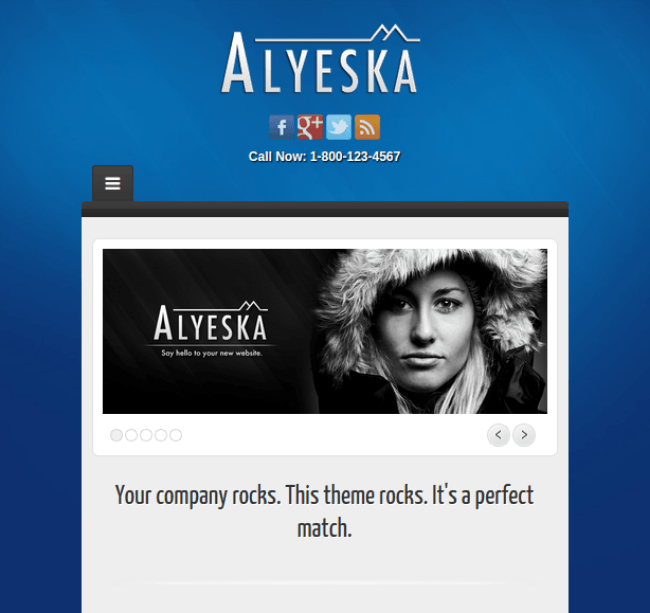 To give a complete new look and feel to your site it supports different google fonts and has page custom sidebars. This theme is retina ready and also supports the WP Retina 2x plugin. I loved this theme at first sight. It is a translation ready theme that helped translate my website into any languages because of that my website getting visitors from all over the World. It is a retina ready theme because of that my website looks awesome on all Apple devices. It fulfilled all my requirements.